Boost your capabilities with the Tellabs 8820 Multiservice Router — a high-performance and carrier-class edge router from the larger 8800 series family. And save on your improvements by choosing a model from Worldwide Supply that’s certified and brought back up to OEM quality standards at a significant price reduction compared to new. Your network won’t be able to tell the difference, but your financials and your executives will. 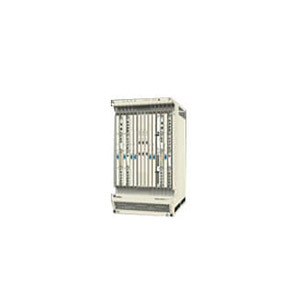 A refurbished Tellabs 8820 MSR provides support for any-to-any Layer 2 and 3 networks plus service interworking. Get a smart migration path to a converged MPLS-enabled IP network and try the MSR that can enable connection-oriented network characteristics like QoS tools. Superior scalability and flexibility of pure IP networks are realized and able to work in conjunction with other efforts thanks to wide support for a variety of leading equipment. Today, it’s already powering service providers like you with business-class IP and Ethernet services as well as support for FR, ATM and TDM private leased line operations. The Tellabs 8820 aims to live up to the Tellabs call of “any service, any channel, any port” by working across Layer 1 to 3 services on a single platform. Plus, you can work across a wide range of interfaces and protocols to make sure packets, cells, circuits and mixed elements are operating properly on Ethernet and SONET physical line modules. Carriers are turning to refurbished and used Tellabs 8820 in major metro networks, network edges and in test deployments to support service preservation and properly manage upgrades. Discover modular architecture that’s as flexible as promised and needed, currently working in more than a dozen major carrier networks across the globe.